You don't have to spend a fortune to have a cooking space to be proud of. 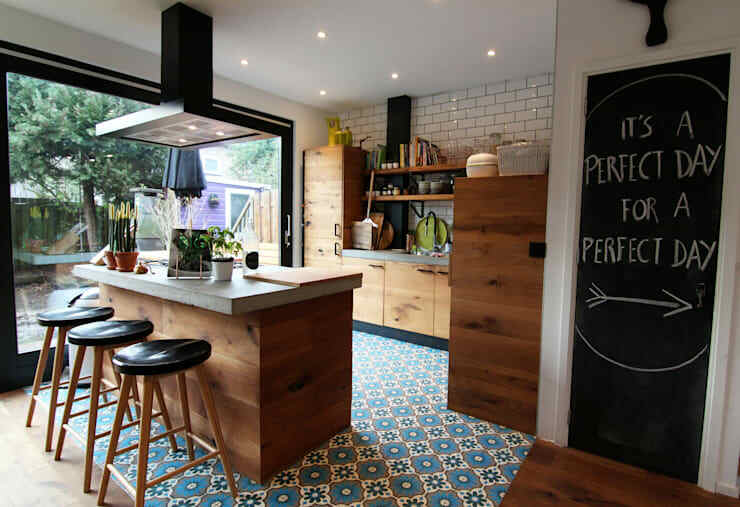 In fact, today at homify, we have put together 11 low-cost but beautiful kitchens that will prove to you just how easy it is to achieve a stunning, eye-catching and functional kitchen without having to fork out a fortune. These examples come with little tips and tricks for creating your own low-cost beautiful kitchen. 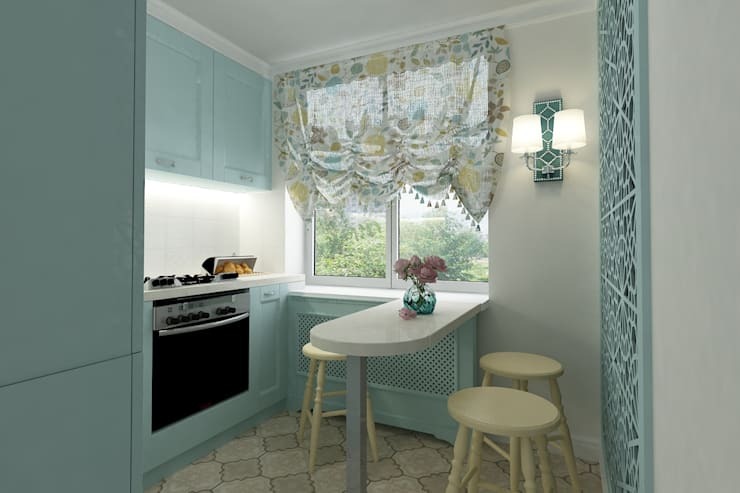 You won't believe how simple it can be to create a kitchen that is the heart and soul of the home. Granite can give your kitchen a luxurious look and feel, but you don't have to spend too much to create a high-quality kitchen. Use granite for your counter tops and use simple materials throughout the rest of the cooking space. The granite will be the star of the show! Leave one of your walls exposed, adding an industrial chic look and feel to your kitchen. It costs nothing to have bricks bare! Spend time sewing your own curtains or adding a vase of freshly picked flowers to your kitchen. It's these little acts of love and effort that will mean the difference between an unattractive kitchen and an aesthetically appealing kitchen. Paint one of the walls black or add a blackboard to your kitchen, utilising the walls for a beautiful, simple and savvy touch. It's also functional too! You can write up recipes or shopping lists or leave notes to your loved ones! 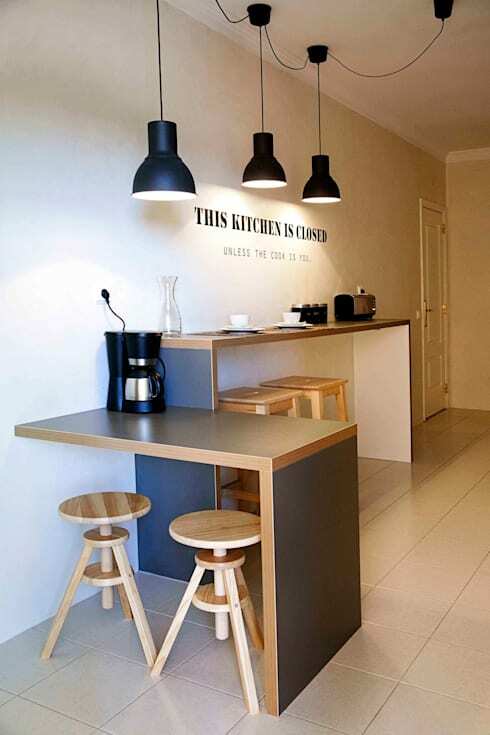 In this kitchen by designers Home Staging Factory, we can see how choosing to only include the most functional of items can result in a very clean and edgy look and feel. Remember that the less items you have, the less items you are having to spend money on! 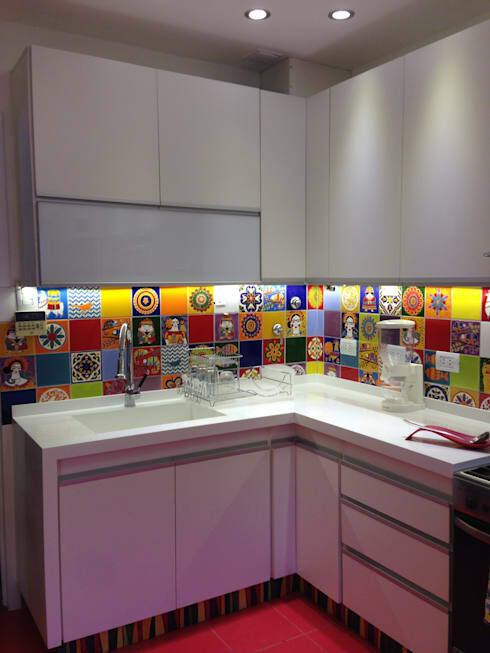 Tiles are a very cost-effective way to introduce colours, patterns and charm to the kitchen. There are so many options available that you can truly choose tiles that appeal to your personality and bring a stunning new dimension to the kitchen. You'll be inspired to cook everyday! 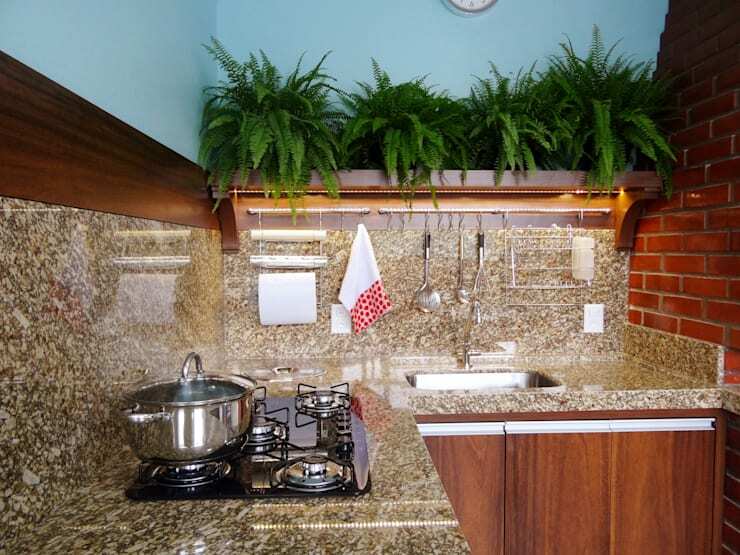 Pot plants, herbs and vases of flower can breathe new life into your kitchen at very little cost. With herb gardens in your kitchen, your cooking will improve too! You'll have fresh ingredients at hand for adding flavour to those dishes. 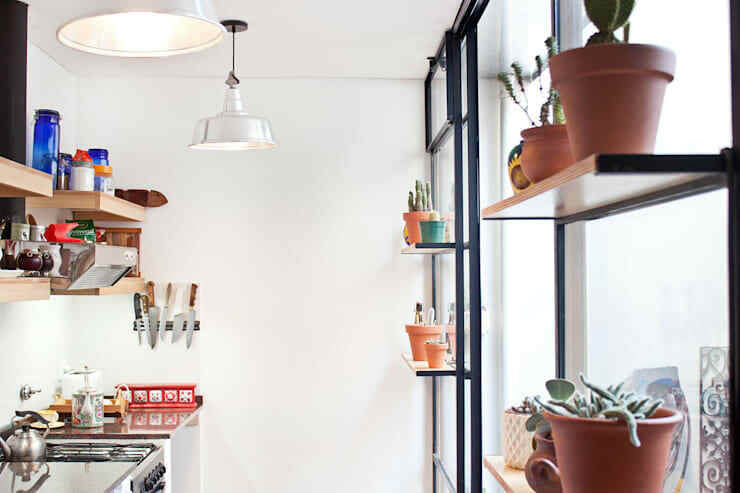 Use functional items such as lighting to add a dynamic twist to your kitchen space. 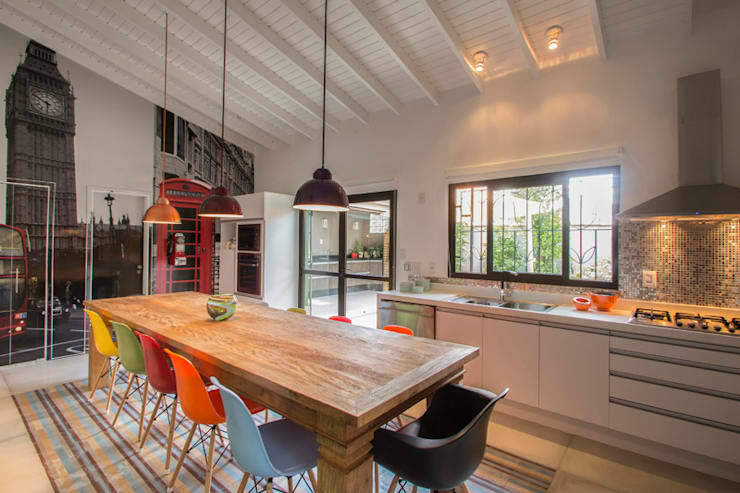 Here we can see how the funky lampshades merge style and functionality, resulting in a very trendy kitchen. 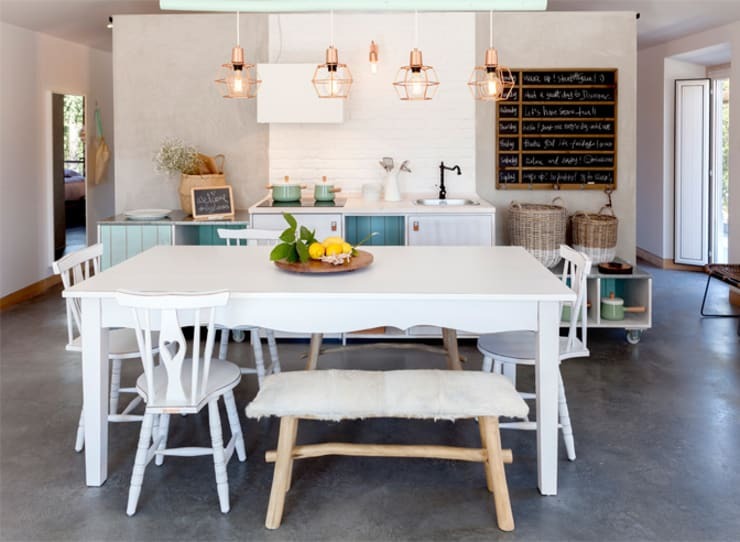 These colourful chairs are cost-effective yet they bring colour and charm to the kitchen. They're also functional too! Don't go for the same old boring chairs in the same colour palette. Have a little fun. 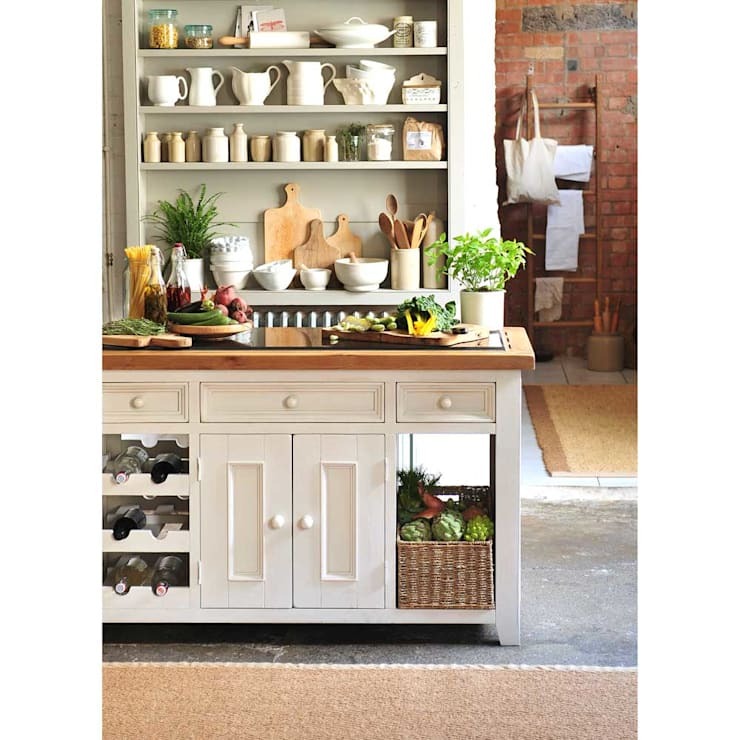 Use your shelves to put items such as your favourite china cups or your beautiful cutlery on display. You won't need to spend a cent and your kitchen accessories will be easily accessible. If you don't have shelves, you can also install hooks on your walls and keep colourful tea towels or beautiful cutlery hanging. This is a great way to make the most of vertical space, while once again keeping your favourite items on display and easily accessible. 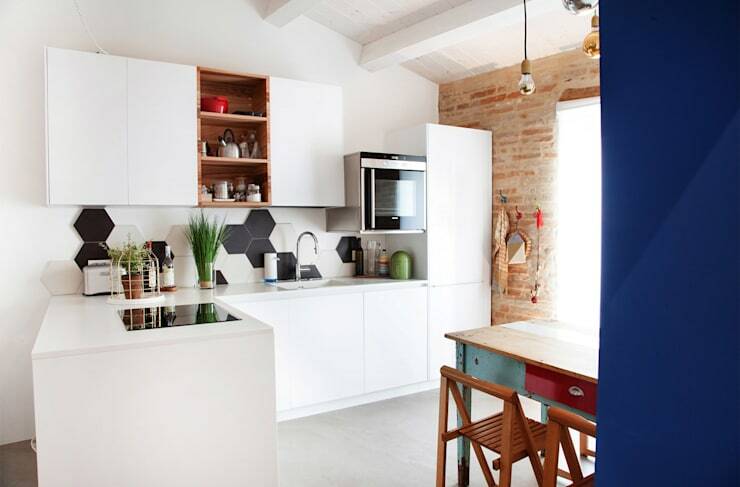 For more inspiration, have a look at these 8 small homes that won't break your budget.